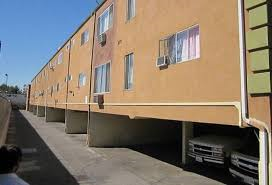 The City of Los Angeles has recently passed an Ordinance requiring the retrofit of "Soft-First-Story" wooden buildings and nonductile concrete buildings to ensure life safety. A typical soft-story building is a building consisting of two or more stories located over a ground level with large openings, such as tuck under parking, garages, or a commercial store front. Without proper strengthening of these buildings, the building may be subjected to structural failure during and/or after an earthquake. Under the ordinance, seismic retrofits of the wooden structures must occur within 7 years. Within this time period, there are milestones that owners must meet to show that they are taking steps to have their buildings assessed and, if deemed necessary, strengthened. Plans for the demolition of the building. Within three and a half (3.5) years after service of the order, obtain all necessary permits for rehabilitation or demolition. Within seven (7) years after service of the order, complete construction or demolition work under all necessary permits. The first step in any soft-story seismic retrofitting project is to analyze the structure and determine the best way to strengthen the building. Our structural engineers will have to weigh several factors when deciding the best way to approach a project. Not only do we have to ensure the building will meet the structural standards required of retrofitted buildings, but we also have to minimize the impact on the function and use of the building. At Point Design Inc., we typically use different approaches, customized methods and techniques to complete a soft-story seismic retrofit. If you own a soft-story structure, Point Design Inc., is offering a free inspection consultation to building owners. To schedule a free inspection consultation with us, please call us at 949-250-0522. Our senior Structural Engineer will review the information you provide and contact you to schedule your inspection.